Combination of grilled Beef, Pork Chops, Egg Roll, and Fried Egg. Served with rice, lettuce, cucumber, fried onions and fish sauce. rice noodles, lettuce, bean sprouts, cucumber, pickles, fired onions, peanut and fish sauce. onions. Served with choice of rice or noodles. Jumbo Shrimps marinated with House BBQ sauce grilled to perfection. pickles, fried onions, peanut and fish sauce. green onion, bean sprouts and peanut topped. Choice of grilled Pork, Beef or Chicken served along with lettuce, bean sprouts, cucumbers, pickles, fried onions, peanut and fish sauce. Pork, Shrimp, carrot, onion, mushroom, and vermicelli wrap and deep fried to golden brown served along with lettuce, bean sprouts, cucumber, pickles, fried onions, peanut and fish sauce. 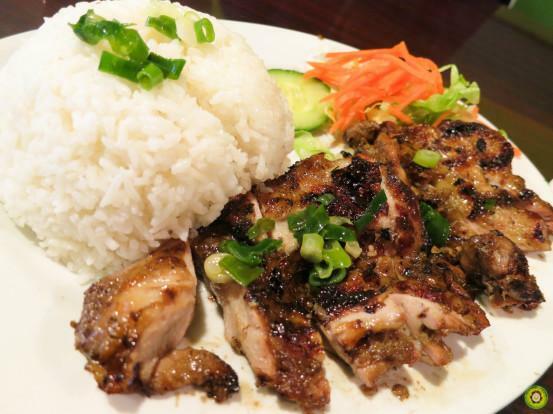 Chicken dark meat marinated with spicy lemon grass sauce then grilled to perfection. Chicken breast marinated with Spicy Lemon grass sauce, cooked with onions and bell peppers. Chicken breast marinated with Vietnamese Style Curry sauce, cooked with onions, carrot and sweet potato. A pair of marinated pork chops with House BBQ sauce grilled to perfection. Served along with lettuce, cucumber, fried onions and fish sauce. Fresh Chicken breast or Jumbo Shrimps cooked in rich thick Panang Curry coconut milk along with carrot, sweet potato, onions and bell pepper. A perfect tasty combination of crisp, sweet and sour in sesame sauce. Chicken breast stir-fried with bamboo shoot and broccoli. Choice of rice or rice noodles. 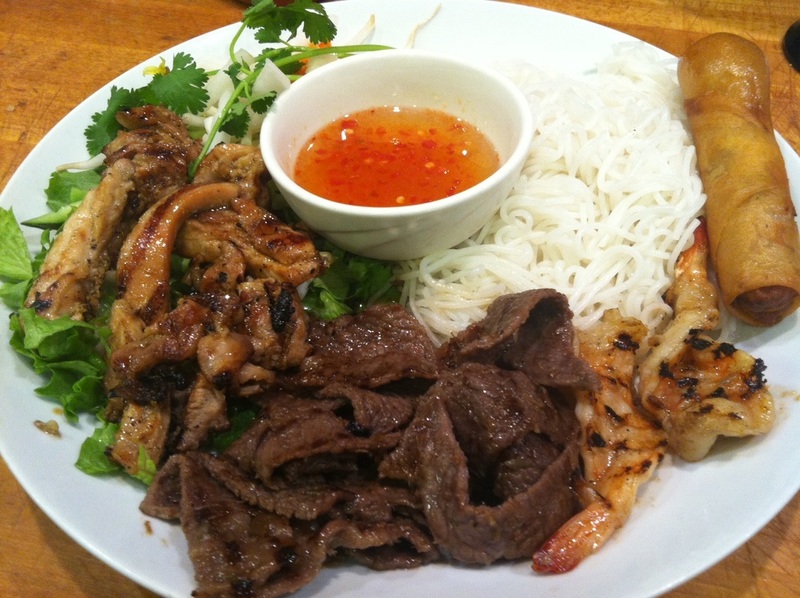 Choice of grilled pork, beef or chicken, Served with team rice or rice noodles.